Vanus Creations | Why do the big dogs use WordPress? Why do the big dogs use WordPress? Gates couldn’t have been more right. From blog posts and videos to whitepapers and eBooks, today’s consumers crave engaging content to soak up and share. This content is empowering and drives buying decisions. For this reason, search engines crawl and index the “content” on website pages also. The more quantity, quality, and frequently updated content a website boasts, the more likely that site will rank higher in the search results of Google, Bing, or Yahoo. Content is the foundation of today’s commerce and the biggest, most successful businesses know it. Companies such as Disney, eBay, Sony, GM and UPS, to national news giants like Forbes, CNN, Reuters and The NYT, to tech tycoons like Samsung, IBM and TechCrunch, heavy hitters everywhere are rolling out slick sites with full-scale content strategies developed in the WordPress CMS (content management system). 8 Reasons why are more than 75 million websites, including 55% of the top 1 million most visited websites in the world, are using WordPress. At the heart of every well-executed, repeatable content strategy, there is a blog—but your blog isn’t worth a damn if you and your team can’t quickly access its backend. WordPress allows, you, yes you, to easily and intuitively publish, organize and modify all of your great content to advance your SEO, establish thought leadership, and feed your social media strategies. 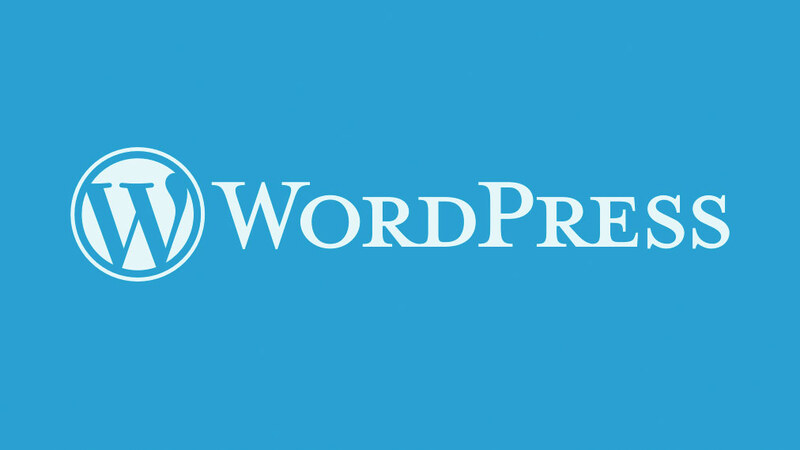 WordPress began as a free publishing platform that emphasized editorial controls and user-friendly dashboards. Today, this user-centric approach remains (no coding skills or experience necessary). If you can make edits to a Microsoft Word doc, you can make edits to your content in WordPress. Open source means software is free and non-proprietary. Instead of a single team, WordPress is supported and advanced by the most extensive community of CMS developers (and we’re talking thousands!). For you, this means greater security, customization, flexibility, freedom, and overall higher quality development with less associated cost. You have total ownership to use the software that drives your website, and you can modify and distribute its code without any associated licensing costs. WordPress is not capable of text-heavy blog posts. WordPress makes it simple to import and manage multimedia as well, such as photos, videos, graphics, etc. You do not need coding experience, and you can independently add or revise your content to immediately reflect your brand. For users needing advanced functionality, such ase-commerce shopping carts or social media sharing to boost inbound marketing strategies, WordPress offers the largest list of plug-ins (nearly 30,000) and widgets of any other CMS, and the packaged code is easy to install (with nearly 600 million downloads to date). As the open source development continues to grow, so will these numbers. Your website can be as robust as you desire and executing improvements is fast and easy. WordPress helps you effortlessly maximize your website’s SEO ranking potential by ensuring search engine best practices, automatically using standards-based technology preferred by search engines, like Google, Bing, and Yahoo. This drastically decreases the time you spend thinking about keywords, meta tags, etc. Even Google’s Senior Search Engineer Matt Cutts has said that sites built in WordPress are capable of ranking higher in search results because WordPress takes care of 80-90% of Google’s crawling issues. Today, every business needs their website to be fully functional and accessible across all platforms, screens and devices—smartphones, tablets and laptops. So, the CMS you choose needs to be able to support a responsive grid system. WordPress has plenty of beautiful responsive themes (custom themes are also an option) that allow any business to get their website going, and going the right way! WordPress is usable right out of the box (which the non-techies love), but it also supports further customization. Beyond font types and sizes, colors and website backgrounds, WordPress lends itself to advanced users as well. WordPress may have started as a blogging platform, but today companies design and develop sophisticated websites entirely on the WordPress CMS. If you can dream it, it can be built on the WordPress CMS platform. Not every CMS is accessible and easy to use, and we all know what that means: no one in your company knows how to access it, make updates or fix it when it breaks. So, you’re either constantly calling (and paying) your developer to do simple tasks that should be handled in house, or you’ve given up all together and your website’s content has become frozen in time, while your Google ranking disappear. Not with WordPress. WordPress puts the power back in your hands, and even if there is an issue, WordPress’ extensive development community always has you covered! For the most part, you can do it yourself with WordPress, but if you can’t, you’re guaranteed to find someone who can do development, maintenance or support for you and the price will be competitive because wordpress is so widespread. It’s no surprise the the “Big Dogs” are using WordPress to move at the pace the digital age demands. To empower their marketing departments, delight their consumers and surely satisfy the search engines. We encourage you to use the WordPress benefits listed here as a benchmark for the performance of your current CMS or any CMS you are considering. Your online credibility, usability and findability likely hinders on this fundamental tool. If you have questions regarding your website or WordPress, feel free to contact Vanus Creations.